Visit our Chinese Herbal Pharmacy and discover the healing powers of Chinese Herbs. by Dongfeng Zhou & Sara Allen – Tinnitus affects approximately 10% of the population and is described as a perceived sound in the ears when there is no actual sound. There are many Western diagnoses that cause the symptom of tinnitus such as Meniere’s Disease, hypertension, whiplash, brain tumors, renal failure, and various ear infections. The sounds can be mild to severely impairing, and intermittent or constant. These perceived sounds have different qualities for some people, from chirping to constant low buzzing and many sounds in between. Tinnitus can affect sleep, one’s mental and emotional state, and even lead to permanent hearing loss. Common modern medical treatments include a reduction in stress, changes in diet, masking tinnitus with white noise, and taking certain drugs to help reduce sensitivity to sounds. Tinnitus has been treated in Traditional Chinese Medicine for over 2,000 years. As early as 200 B.C., the Huang Di Nei Jing, or “Yellow Emperor’s Classic”, described the problem of tinnitus along with other symptoms such as dizziness, hearing loss, headaches, etc… The Nei Jing attributed the tinnitus to imbalances of yin and yang in the body. Also, the Nei Jing teaches that the ear is the location for several channels to cross, and therefore, the problems with the ears can be from many underlying patterns. Tinnitus has several patterns in Traditional Chinese Medicine (TCM). The main two categories are Excess and Deficiency. In an Excess pattern, tinnitus comes on suddenly, and it is usually loud and high-pitched. There may also be sudden deafness. At the initial onset, only one ear may be affected. With the various Excess patterns, the ears are essentially “blocked” from their function, and the excess must be cleared in order for the tinnitus to resolve. In the Deficiency pattern, the tinnitus comes on gradually with gradual loss of hearing, and the sounds are softer and more low-pitched which affect both ears equally. These cases must utilize formulas that help build up the underlying weakness in the body so that the nerves and sensory tissues have proper nourishment and function. There are three main patterns within the Excess category. The first is Wind Heat, in which the tinnitus is caused by a cold or respiratory infection. Usually, congestion or infection of the Eustachian Tubes and sinuses are to blame. 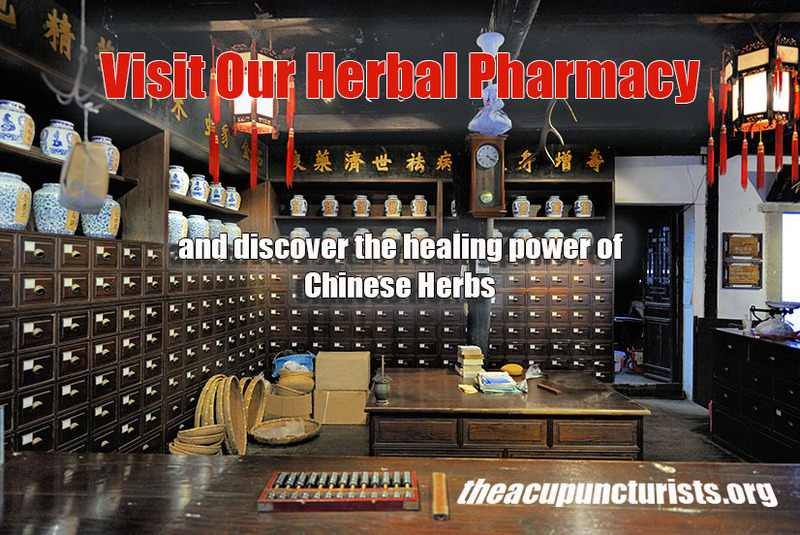 This is treated with a variant of the formula Yin Qiao San along with other herbs to treat different aspects of the infection. Once the infection subsides, symptoms resolve. Another common excess pattern is Liver or Gallbladder Fire, with symptoms such as headache, irritability, constipation, tinnitus worsened by stress or anger, red eyes or face, a bitter taste in the mouth, and even pain in the rib cage. Often times, the tongue will be red with a yellow coating, and the pulse will feel wiry and rapid. The main formula for this diagnosis is Long Dan Xie Gan Tang, which works to clear the Liver or Gallbladder which are building up heat that rises to affect the ears. A third excess pattern is Phlegm Fire. Often, this pattern shows up with pain or fullness in the ear along with respiratory sputum or chest stuffiness, irregular bowels, and a bitter taste in the mouth as well as intermittent tinnitus and dizziness. The tongue has a yellow greasy coating, and the pulse has a rounded or slippery quality. The primary formula for this pattern is Wen Dan Tang if the pattern shows more heat symptoms, and Ban Xia Bai Zhu Tian Ma Tang if there are no heat symptoms. These formulas focus on clearing out the phlegm that’s blocking the ears and causing tinnitus. In the Deficiency category, there are two patterns. The first and most common is Kidney Essence Deficiency with symptoms such as recurrent tinnitus, possibly with deafness, dizziness, vertigo, afternoon/evening fever, dry mouth, heat sensations in the hands, feet and chest, a red tongue with little or no coating, and a thready pulse. This tinnitus usually worsens gradually. This “essence deficiency” tinnitus is associated with aging, severe stress or overwork, or chronic disease. The typical formula is Er Long Zuo Ci Wan, which is a modification of Liu Wei Di Huang Wan along with specifically focusing on essence and silencing the perceived sound in the ears. The second deficiency pattern is Spleen Qi Deficiency that fails to raise “clear yang”. This pattern’s symptoms are recurrent tinnitus that improves with rest and worsens with exertion, along with tiredness, dizziness, low appetite, loose stools, and the tongue would have a white, greasy coating. The simplification of this pattern is that the body doesn’t have enough energy to supply the ears well enough to function properly. Many times the underlying cause is excess worry or stress, or an improper or inadequate diet. The typical formula used to treat this pattern is Yi Qi Cong Ming Tang, which has herbs in it such as ginseng and astragalus that increase the energy circulation to the head and sense organs. Dr. Dongfeng Zhou is a licensed and skilled herbalist and acupuncturist that treats various conditions at our wellness center. We serve the communities of Margate, Coral Springs, Tamarac, Parkland and Coconut Creek Florida. Dharmananda, Subhuti. “TINNITUS.” The Lessons of Shennong: The Basis of Chinese Herb Medicine, Institute of Traditional Medicine, June 1998, www.itmonline.org/arts/tinmen.htm. Niu, Yun. “Tinnitus: a TCM Perspective.” Nature & Health, 27 June 2016, www.natureandhealth.com.au/health/tinnitus-a-tcm-perspective. Piech, Elizabeth. “Acupuncture and Herbs Quiet Tinnitus.” HealthCMi CEUs, 18 Feb. 2018, www.healthcmi.com/Acupuncture-Continuing-Education-News/1826-acupuncture-and-herbs-quiet-tinnitus. Shi, Anshen, and DaFang Zeng. Essentials of Chinese Medicine: Internal Medicine. Edited by Shih-Shun Lin and Leigh Caldwell, Bridge Pub. Group, 2003. “Tinnitus.” Mayo Clinic, Mayo Foundation for Medical Education and Research, 3 Mar. 2018, www.mayoclinic.org/diseases-conditions/tinnitus/diagnosis-treatment/drc-20350162. Wang, Y M, et al. “[Effects of Er-Long-Zuo-Ci-Wan on the Spontaneous Activities of Auditory Central Nucleus in Rat Model of Tinnitus Induced by Salicylate Acid].” Advances in Pediatrics., U.S. National Library of Medicine, Aug. 2009, www.ncbi.nlm.nih.gov/pubmed/21155246. “What’s That Ringing? Tinnitus and How TCM Can Help.” Pacific College of Oriental Medicine, 18 Dec. 2017, www.pacificcollege.edu/news/blog/2015/03/29/whats-ringing-tinnitus-and-how-tcm-can-help.